So charming and private. This home is situated in a neighborhood but feels the privacy of the country. Beautifully manicured, wooded lot with privacy fence adds a wonderful venue for entertaining or just relaxing. The backyard also has a small fire pit for those chilly nights to be outside. The floor plan is open with a wonderful kitchen with all new appliances opening into the dining and living area. The master bedroom is split from the other two bedrooms and has a master bath with a ceramic tile shower, tub and double vanities. The master closet is very roomy too! The other two bedrooms have a jack and jill bath. The back and front porches are basically the length of the home and are ideal for morning coffee! 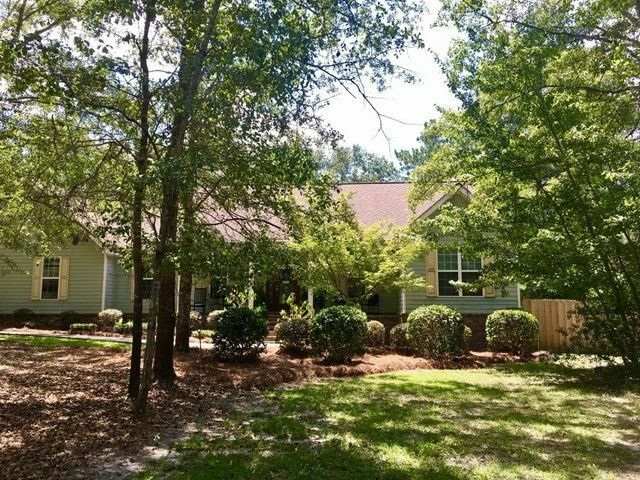 Call Arlene 912-293-2265 or Ronnie 912-293-3113 for an appointment to view this great home. Directions: Take Hwy 292 to Hwy 130 (Loop Road). Follow to Country Estates and turn right at first road. Take first left. Home will be on the right.